There are some things that fast-track your resume to the "yes" pile when you're applying to programming jobs. Like an Amazon Web Services Certification. Master GitHub, AWS CloudFormation, and AWS Lambda, and get certified-we've got the training to help you every step of the way. 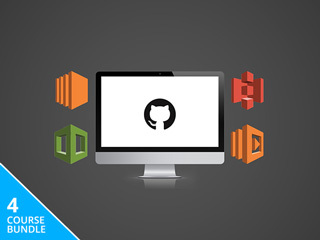 Get the Developer's AWS Mastery Bundle for $29 at Escapist Deals. You'll save 85% on four courses, including seven hours of training in GitHub, AWS CloudFormation, and AWS Lambda. You'll learn how to write, deploy, scale, and manage your own AWS Lambda functions. Work with Git and GitHub, and master the fundamentals of source code versioning. And dig into AWS CloudFormation as you write your own CloudFormation templates. Then, let the pros guide you through certification prep. You'll get 13 topic quizzes, a 15-minute mini exam, and an 80-minute practice test that'll get you ready for the AWS Certified Developer Associate Exam Prep.